After the back of my LG Nexus 4 cracked, prompting me to order another one, I decided to set out on a mission to find the best case for it. As you know, I have zero confidence in the glass backside, so even as someone who hasn’t used a case for more than a few hours at a time over the years, I am willing to give them a shot. If it takes covering up that pretty class backside to preserve it, then so be it. 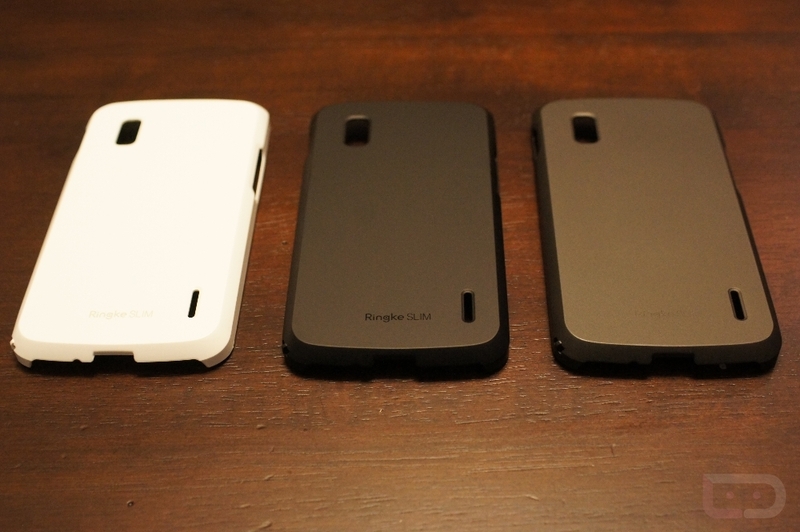 Today, we’re taking a look at the Ringke Slim case for the Nexus 4, a product made by RearthUSA. I’ve been a fan of the Ringke Slim line in the past, so when I saw the posting for this at the ridiculously low price of $9.99, I jumped on three of them: grey, black and white. The case itself, is very minimal. It’s a light piece of plastic that is made to barely fit over the backside and edges of the device. There are cutouts for the speaker, camera, lock switch, and volume rocker. And that’s pretty much it. The plastic has a soft matte finish to it, so it shouldn’t be all that slippery. Rearth claims that they’ve done some super secret grip stuff with “efficiency engineering.” I don’t know what that means, but I do know that it shapes very well to the Nexus 4 without adding bulk. Overall, I’m a fan of these cases, however, they appear to be working through some issues and are planning to release a “revised” version by December 11. The current version, which happens to be the one I just purchased, doesn’t fit flush with the side that has the volume rocker and constantly does this clicking noise. The reviews on Amazon couldn’t be clearer that this is a pretty major issue. 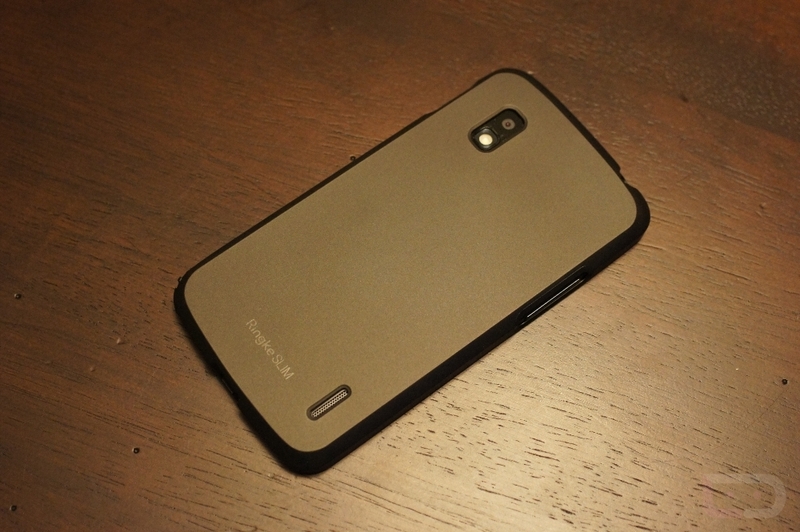 Hopefully, this gets fixed in the revised version, because this could be the perfect N4 case. Matte, minimal, slim, and clean, all things I look for in a case.